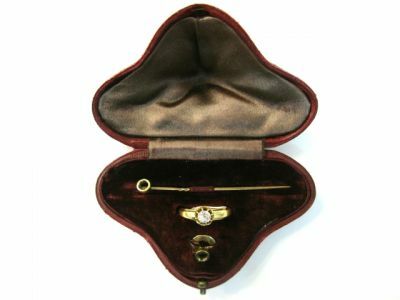 A fabulous Antique custom made 18kt yellow ring plus a stick pin, with a claw set old European cut diamond, est. 0.36ct (clarity: VS1 & F-G colour). The diamond mount can be unscrewed from the shank and re-attached to the top of the stick pin. 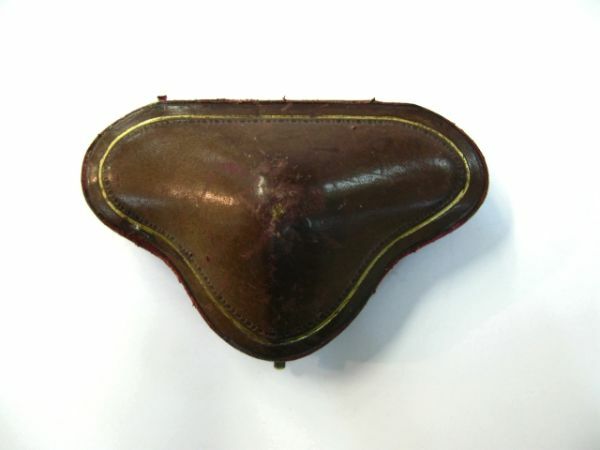 There is a fitted brown leather box wth gold trim for these pieces.